Renault Clio RS Performance, Engine, Ride, Handling | What Car? The RS is deceptively rapid when you thrash its turbocharged 1.6 petrol engine, managing the 0-62mph sprint in just 6.7sec. Getting off the line quickly is aided by a standard-fit launch control system; you simply press the brake with your left foot, followed by the accelerator with your right, then lift off the brake for the best possible take-off. The engine sounds good, too, thanks in part to a 'sound pipe', which directs engine noise into the cabin under hard acceleration. Thankfully, the noise fades away under lighter throttle loads, meaning motorway cruises are remarkably sedate by hot hatch standards. The RS has quite softly set-up suspension by hot hatch standards. Whereas the old model darted in the bends with practically no body lean, the new car doesn't feel quite as focused. It's still remarkably agile, though, gripping hard and staying neatly balanced through corners. The steering isn't especially quick, so you need to apply plenty of lock in the slower corners. There's certainly no arguing with Renault's point that the new six-speed automatic allows you to change gear faster and keep your hands on the wheel while doing so (even though we'd rather the paddles were mounted on the steering wheel rather than behind it). If your idea of fun is quick lap times at your local track day then this can only be seen as a good thing. The auto 'box responds quickly enough to commands and (in Race mode) gives you full control over changes, meaning it won't override your chosen gear. Switch to Normal mode and shifts are also remarkably smooth, even at low speeds. However, the ratios for third and fourth are quite widely spaced, so there are times when neither feels right and some might feel the automatic 'box robs you of a little of the driver involvement you get from a manual. 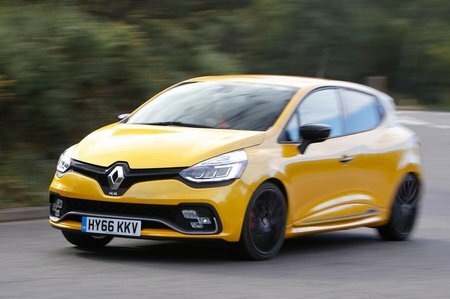 It also helps explain why the Clio is considerably more expensive than its closest - and better to drive - rival, the Ford Fiesta ST. 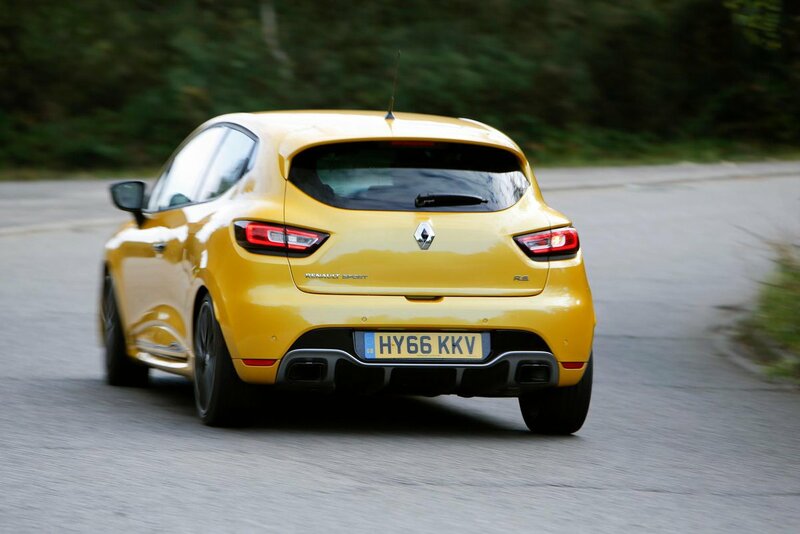 Most buyers will add Renault’s Cup Chassis option which adds larger wheels and lower, stiffer suspension. Or, going for the 220 Trophy version of the RS brings this with extra kit and more power. However, we’d suggest sticking with the standard car with the optional chassis is better value.